Sundowns set to offload defender? Mamelodi Sundowns are said to be on the verge of offloading defender Siyabonga Zulu just over six months after signing him from Platinum Stars. Sources at Chloorkop have told Phakaaathi Plus that Zulu has not turned out to be the player coach Pitso Mosimane was hoping for and that the 24-year-old could be loaned out. “Things have not gone well for Zulu. He doesn’t seem to grasp what the coach wants from him and could be on his way out. The team has already signed Lyle Lakay and are talking to Mosa Lebusa who play the same position as him,” said the source. 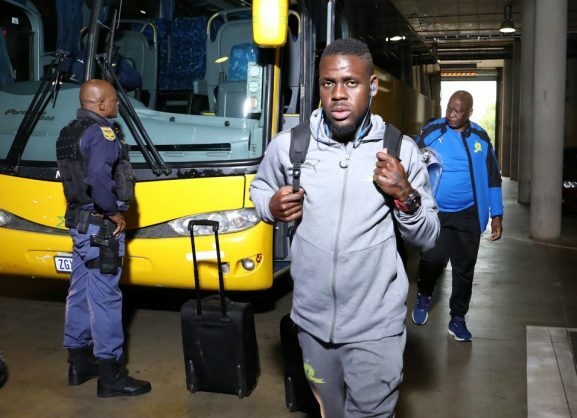 Zulu has not played in an official match for Masandawana since he signed and the source has claimed that he was deregistered from Sundowns’ Caf Champions League team.